Three weeks ago I signed up for Carla Sonheims class Flower Crazy and tomorrow it starts, finally. As I have waited. I really love online classes but I hate waiting for them to start. When I decide to take a class and sign up I want to dig in to it immediatelly. That's why I mostly buy classes that are directly available upon purchase. I know it is a bit silly but yes, I'm impatient. Carla Sonheim is one of those artists that I follow on a regular basis. 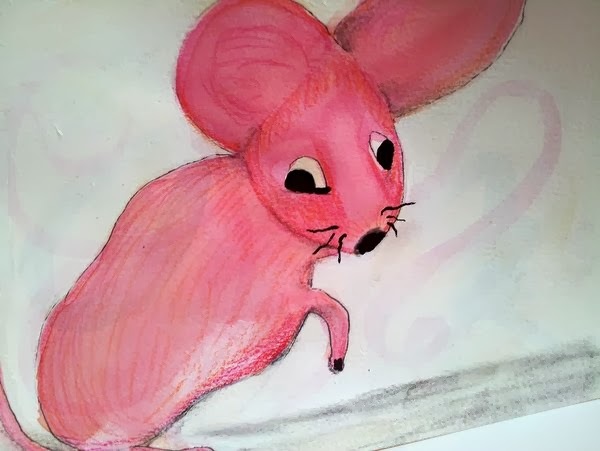 I think her funny looking creatures are lovely and when I first discovered her a while back I signed up for her online class Imaginary Creatures. I learned a lot about watercolor and how to use gesso in different ways. 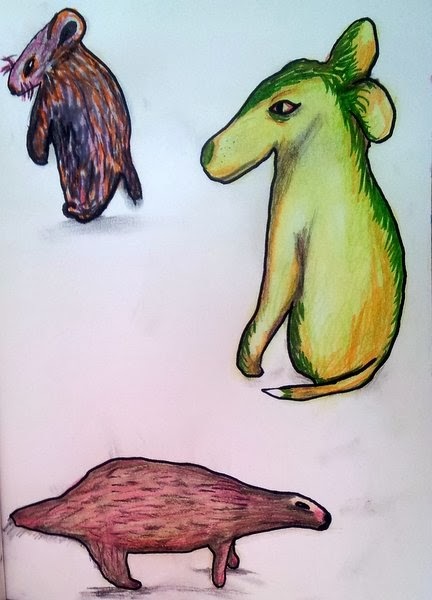 I think the animals I created in the class turned out really cute. In the new Flower Crazy class I hope to uncover more creative land when it comes to watercolors, ink and gesso. Yesterday I felt inspired to make a few more silly animals the way Carla Sonheim teaches. I consider it a warm up of what's to come in the new class. If you too are an online class junkie please leave a comment and tell me which ones you really liked.